The quest to find the best wet cat food can be a long and difficult one, and often the amount of information about all the different kinds is overwhelming. With so many choices out there, it is hard to even know what differences actually matter and what are just marketing tactics, but I've tried to compile a simple but informative round up of five of the most popular cat food brands here. This article focuses on wet cat food as opposed to dry kibble, which is a fundamentally different formula. Before we get to the reviews, here are a few clarifying questions to help understand what the relevant factors are in rating different types of cat food. What are cats "supposed" to eat? ​Cats evolved as pure carnivores in nature, so grain and other carbohydrate dense food is not something their bodies are designed to process easily. While grain is cheap to process and easy for humans to ingest, making it the go-to filler product for our foods, it may not be the most ideal for felines. For that reason, many people believe that the more grain-based dry kibble is not the most healthy type of cat food out there and that it is better to feed cats wet food. This is a highly controversial subject with strong opinions on both sides, but it is undoubtedly true that wet cat foods will generally contain higher quality and more natural ingredients than the dry ones do. So, is wet cat food better than dry? Some people think so, since it mimics more accurately what wild cats would eat in nature and tends to be more protein based than dry kibble. Of course, others believe it makes no difference - the reality is, it probably depends on so many factors it's impossible to tell without seeking veterinary advice for your specific cat. ​What are the main differences between wet and dry cat foods? Wet cat food has higher water content than dry, of course, and for cats who are not inclined to drink enough water, this can help keep them hydrated. But as any cat lover knows, cats can vary as much as people, so the ideal water content can change from cat to cat. Additionally, because of wet cat food's hydrating effect, it can be helpful for those at risk of developing, or already suffering from, kidney disease and urinary tract diseases. These conditions can develop as a result of(and also be exacerbated by) dehydration, so if you are worried your cat may be susceptible or your vet has suggested your cat is suffering from a kidney disorder, wet cat food is definitely the way to go. Some breeds are predisposed to these types of disorders, so researching your breed can help you decide if wet food is right for your pet. Ease of passing is another variable worth keeping in mind - how well the hard vs soft food is digested can in some cases become the deciding factor, so as unpleasant as it is, monitor your cat's stool to see if a particular water content is working better. Some people worry that wet cat food is not good for their teeth since it is so soft. One way to get around this is to create a mix of wet and dry foods. There are recipes and recommendations online that can guide you through that process, and of course asking your vet is another way to find a good proportion. Another way to get around this potential issue that has the benefit of being natural and healthy is to supplement cat food with crushed eggshells. The hard shells will add resistance for the teeth if mixed in properly, and as a bonus they are very high in calcium and can act as an all natural supplement. The biggest drawback to wet cat food as opposed to dry is, of course, the price. It is more expensive in almost all cases. And while some cats do just fine with dry food alone, others need the nutritional benefits that come with an at least partially wet food based diet. It may be that for the majority of cats, in terms of nutrition you get what you pay for. ​So how can you tell healthy wet cat food brands apart? Ideally, a protein should be the first ingredient (or the second ingredient after water). This is a general rule that applies to dry kibble as well, but it is much easier to find in wet cat food. Meats, fish, and poultry are usually the flavors found on all cat food labels, but a good rule of thumb is that a brand is only worth buying if one of these things is actually the first listed ingredient and not just an added artificial flavor. So, if you've decided on wet cat food, what are the best wet cat food brands? Some of the most popular, and those chosen for review, are Fancy Feast, Nature's Logic, 9Lives, Friskies, and Purina Pro Plan. Criteria included in the review of each brand include discussion of their various prices, health, ingredient quality, taste and texture, and special formulation. Here are the wet cat food reviews for these five well known and easy to purchase brands. All can be ordered online as well as found in most local pet food stores. Fancy Feast is a healthy and more or less affordable option. Their products are not guaranteed to be all natural, but most of their flavors feature an actual meat as the main ingredient, which is the main thing you're looking for. For health conscious pet owners, they're definitely a solid choice. Fancy Feast is raved about by people with cats who are picky eaters. They have some of the best textures and flavors on the market, and most cats will enjoy at least one. They are not the cheapest brand, but they are not the most expensive either, especially when you consider the high quality. Buying in bulk is one way to get a reasonably good deal, and since they come in so many flavors that all feature real meat with chunky or shredded texture, it is a pretty safe buy as well. For the health nut, this is the ultimate choice. It is simply the best wet cat food brand in terms of quality of ingredients. They are committed to using relatively unprocessed meats with no artificial chemicals, and they are as close to what a cat is designed to eat as you can get. Nature's Logic follows the evolutionary philosophy - they use few carbohydrates to try to mimic what wild cats eat in nature. They figure sticking to the tried and true high protein diet is the safest bet, and the use of real meat like you'd find in the wild makes almost every cat satisfied in terms of taste. The drawback here is price. Nature's Logic is not cheap, and to be honest it is out of reach for many if not most people. While health is important to most cat owners, the majority of people are not going to find it justifiable to shell out double the cost of other brands just so their pet can enjoy all natural cuisine. However, there are a few sales and special offers you can find if you take the time to look, and since it is arguably the best wet cat food brand of the well known varieties, it may be worth it to try. Of all these brands, 9Lives is the most affordable choice. Some of its prices can even compare to dry cat food brands, but it is not the best wet cat food on the market. The biggest drawback to 9Lives is that, while cheap, it is not up to the nutritional standard of some of these other brands. It's a great choice for someone on a budget who wants to transition from dry to wet, but as far as healthy wet cat food brands go, the other more pricey options are better quality. As with anything, you get what you pay for. As far as taste/texture goes, 9Lives has a bit of inaccuracy in its labeling - what you see on the box is not necessarily what you will get. Some of the boxes use words like "chunks" and "shreds", but what is found inside is almost all the mushy "pate style" that some cats won't touch. So if you want to go with this brand but you know your cat is a picky eater, make sure you experiment different flavors with small quantities to find a texture your cat likes before buying in bulk. This brand markets itself as the ideal cat food for various health concerns such as their "urinary tract health formula" and their "veterinary diets NF kidney function formula". This is a bit misleading since all wet cat foods are better for urinary tract health and kidney function just because they are high in water content, but it is true that these formulas also include vitamin and mineral supplements that are customized to the specific focus of each kind. If there is a particular health condition you want to treat or watch out for for your cat, the great thing about Purina Pro Plan is it does the thinking for you. They also have formulas for controlling weight, so this is probably the best wet cat food for indoor cats who may not be getting as much exercise as some of their outdoor ranging counterparts. Bear in mind that some of these formulas affect the water content itself since certain health plans will call for more or less hydration, so this can affect the texture. If your primary concern is taste because you have a picky eater, this one will have to be trial and error with the different formulas. Friskies is the go to choice of wet cat food brands for those on a budget. It is not quite as cheap as 9Lives, but it is a bit healthier. The ingredients are still not perfect, and most of the Friskies flavors list "meat by-products" as the first ingredient. For people invested in nutrition and looking for something organic and all natural, this will not be the ideal choice. However, Friskies is a perfectly reasonable and affordable middle of the road approach that will include most of the benefits of high water content wet cat food. For cats with particular taste, choose the flavor carefully. If not otherwise specified, Friskies tend to come in the mushy pate style packed into the can, so for cats that like chunks, look for the brands labeled "savory shreds". So what is the best wet cat food? Well, it depends on a number of factors - your cat's taste preferences, your budget, your vet's advice, your cat's activity, and your cat's health, to name a few. But that doesn't mean there aren't guidelines that can help you make the right choice. And it definitely doesn't mean all brands are created equal. Overall, while the most ideal brand in terms of ingredients is Nature's Logic, its pricing is a bit too exorbitant for most people to justify. However, Fancy Feast achieves most of the same level of health, albeit with more artificial ingredients, for a more reasonable price. 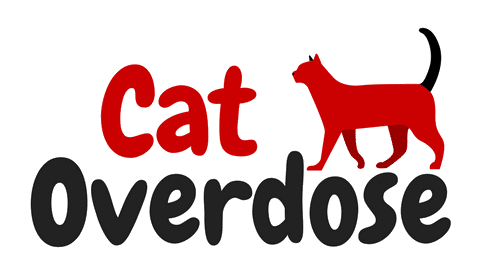 On the other end of the spectrum, 9Lives goes for great prices, but its ingredients are subpar compared to many other brands. Friskies is healthier and generally considered tastier, but also a bit more expensive. Purina Pro Plan is the perfect brand for someone looking to cater to a specific dietary need for their pet.